Enjoy a touch of Italy with delicious Parmesan Coated Potatoes. 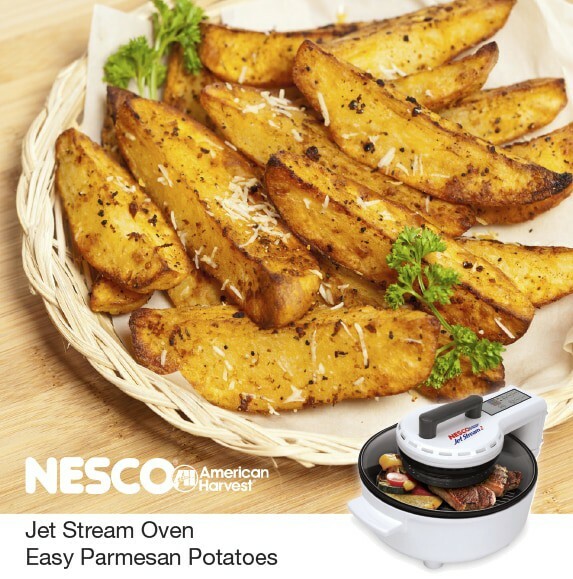 The NESCO® Jet Stream2 Oven® makes them simple and fast in about 18 minutes. Cut each potato into lengthwise quarters. Brush all sides with melted butter. Sprinkle with Parmesan cheese, salt and pepper. Bake accordingly until lightly browned and tender.